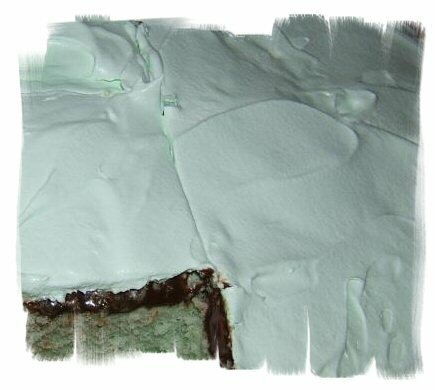 This is a great cake for St. Patrick's Day :) YUM! Prepare one box of white cake mix as directed on package. Add 3 tablespoons of Crème De Menthe, liquer. Melt one container of Hershey Fudge Topping-spread on cake. spread on top of fudge mixture.